GlassPoint Solar and Occidental of Oman announced that they have signed a Memorandum of Understanding (MoU) that could lead to a large solar thermal energy plant, exceeding two gigawatts, at the Mukhaizna oilfield in the Sultanate of Oman. 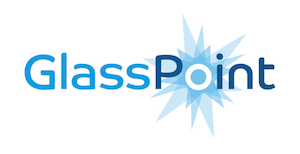 As the lead developer of the proposed project, GlassPoint would deploy its proven solar technology to produce up to 100,000 barrels of solar steam per day. The solar steam would be purchased by Occidental and used to facilitate production of heavy oil. With preliminary studies complete, engineering work has now commenced to define the project scope and field integration plans. 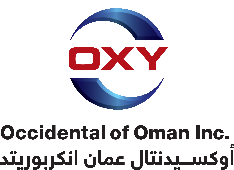 Operating in Oman for more than 30 years, Occidental of Oman is the largest independent oil producer in the country. At the Mukhaizna field, Occidental of Oman has implemented one of the world’s largest steam flood projects for enhanced oil recovery (EOR). GlassPoint’s solar steam generators use large mirrors to concentrate sunlight and boil oilfield water into steam. Occidental of Oman would purchase the steam under a long-term off-take agreement, providing a cost-effective, zero-emissions alternative to steam generated using natural gas. The proposed solar project could save more than 800,000 tons of carbon dioxide (CO2) emissions each year. Occidental Petroleum’s global strategy includes active investment in CO2 EOR and carbon capture, utilization and storage (CCUS), as well as other emissions-reducing technologies. This low emissions energy utilization project and approach is one aspect being explored and commercialized by Occidental’s Low Carbon Ventures business unit in partnership with asset teams across their global operations. This project will enable technical learning and commercialization success to promote similar projects in other areas to help reduce Occidental’s global carbon footprint.